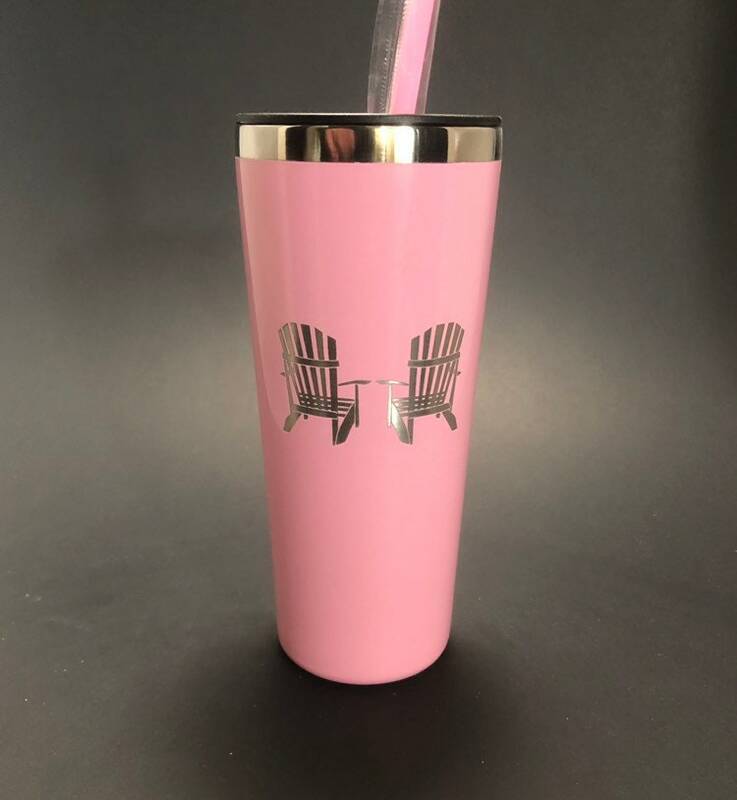 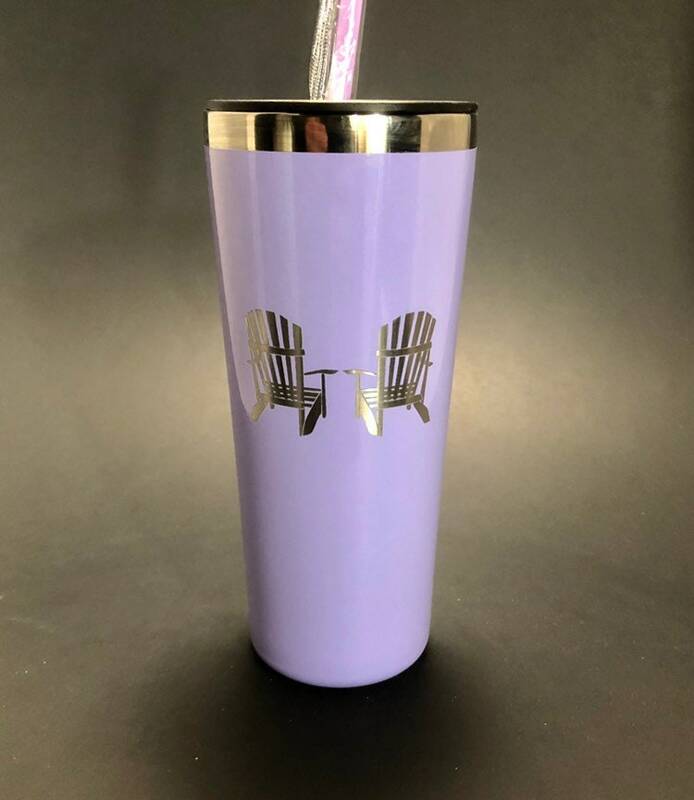 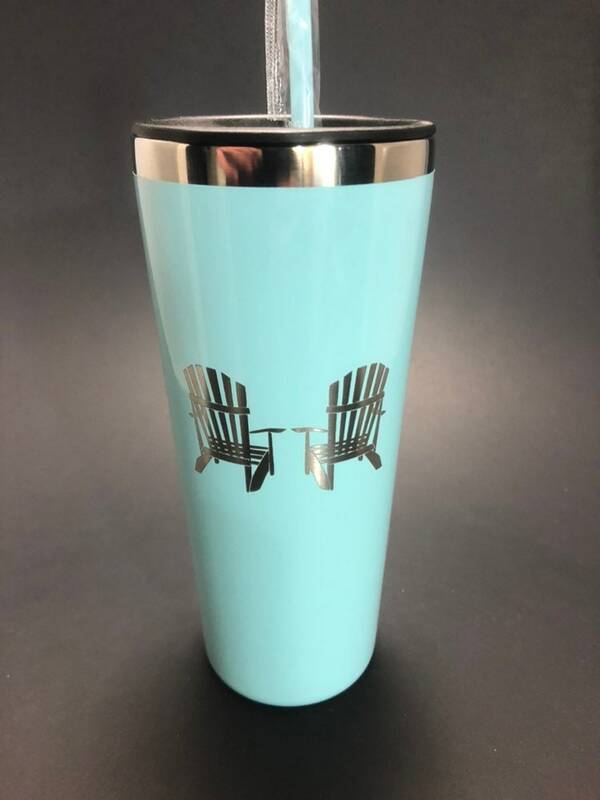 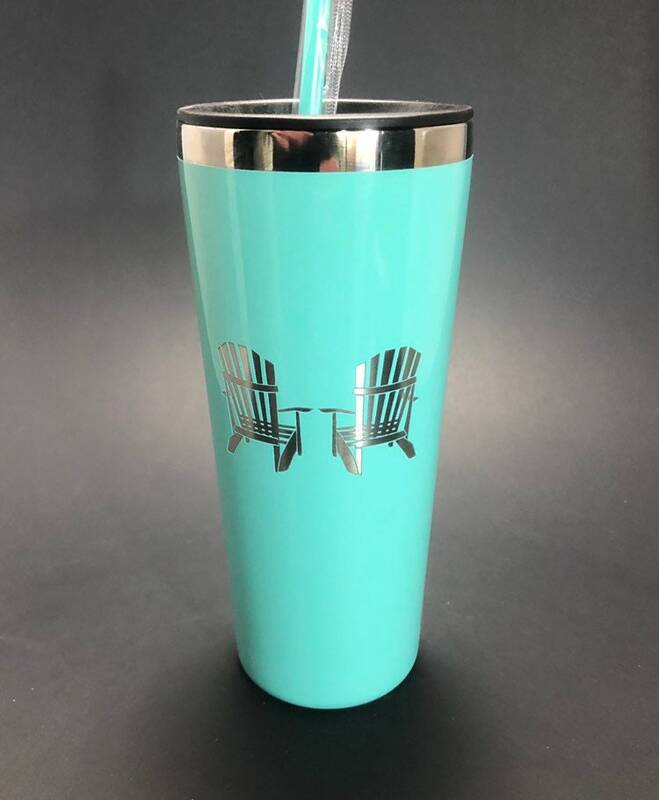 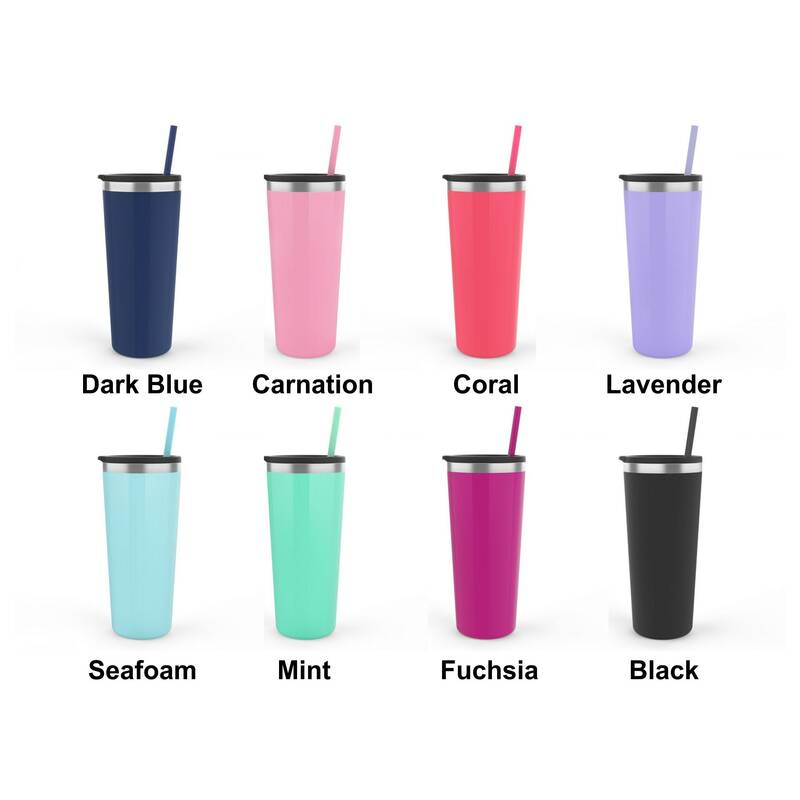 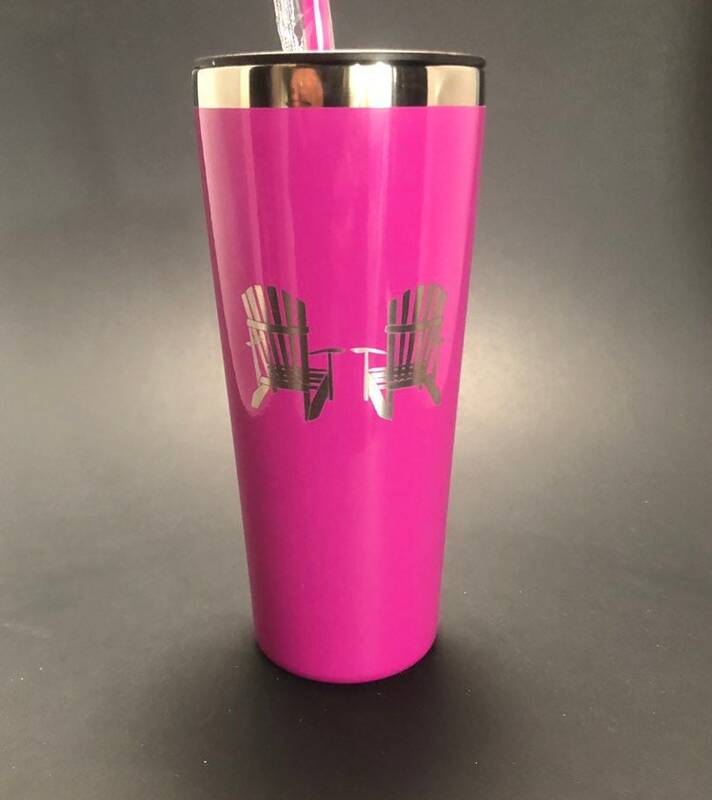 2 Adirondack Chairs permanently etched into this 22 oz stainless steel tumbler. 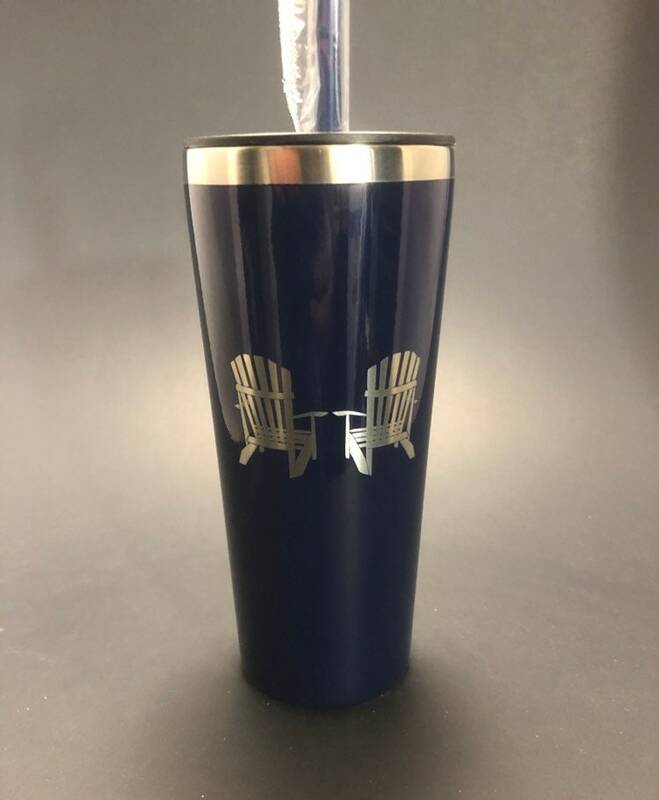 This design is permanently etched through the powder coating to reveal the stainless steel underneath. 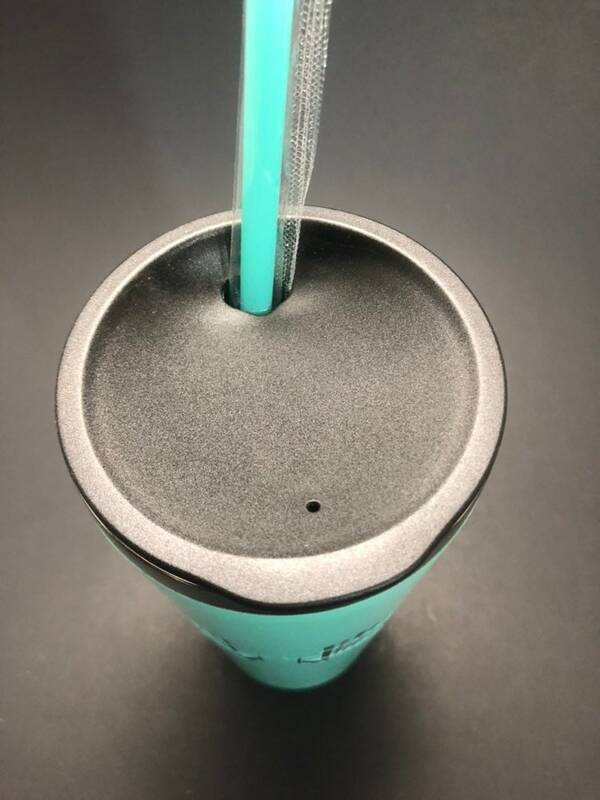 This is NOT a sticker that will fall off eventually.